For businesses fluctuating energy costs are a significant threat to operational profitability and business performance. By understanding how energy is consumed within your business, you can identify significant financial savings and increase company profitability. Delta-Simons does not use standard report templates or energy audit software which generate generic actions. Every energy audit we conduct is bespoke to you – we take the time to understand how your business operates in detail, and ensure all recommendations are practical and cost-effective. Capital cost energy efficiency projects with simple payback periods and/or life cycle analysis. All large businesses with greater than 250 employees and/or greater than £39m annual turnover are required to complete energy audits at least once every 4 years. Delta-Simons have delivered ESOS energy audits for clients across a range of sectors, including offices, retail, hospitality, construction, offshore drilling and manufacturing, identifying thousands of pounds in energy savings. Delta-Simons have vast experience of developing bespoke environmental monitoring programmes to investigate how and where energy is being wasted in buildings. Many buildings are over-specified and consume more energy than they were designed to. By assessing environmental conditions holistically and in conjunction with energy data, facilities managers can fine tune their buildings to improve energy efficiency, whilst also improving the comfort and wellbeing of occupants. 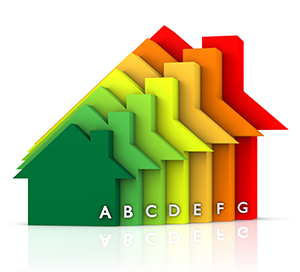 Energy Performance Certificates (EPCs) are required whenever a property is sold, rented or newly built. An EPC rates the energy efficiency of the building, from A (most efficient) to G (least efficient). It also includes recommendations of how to reduce energy consumption within a building. From April 2018, rental properties will be required to achieve minimum energy efficiency targets. Landlords will not be able to legally let a non-domestic property with an EPC Rating of less than ‘E’. This relates to new tenancies and renewals. However, from April 2023, this will extend to all existing tenancies; with F&G rated buildings essentially phased out of the British rental property market. Delta-Simons can provide cost-effective EPCs for the non-domestic sector, for property transactions and/or new lease agreements. In addition, Delta-Simons can also assess the implications for individual assessments or entire portfolios to reduce risk. All new non-domestic buildings must comply with Building Regulations Part L2A, and demonstrate achievement of minimum energy and carbon performance targets. The Simplified Building Energy Model (SBEM) is an approved method for undertaking compliance assessment for Part L2A. 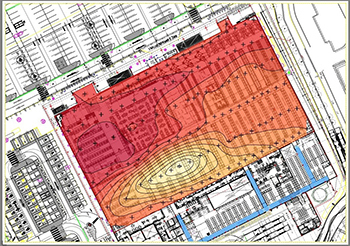 SBEM models a building’s energy consumption based on its geographical location, scale, shape, orientation, materials, construction, fuel sources, building services and controls. Delta-Simons can work with your design team to produce cost-effective SBEM calculations for your new build or refurbishment project.